Trapped between endless shots of gorgeous landscapes and parsimonious storytelling, there is a commendable attempt at exploring the fragility of relationships in The Loneliest Planet. 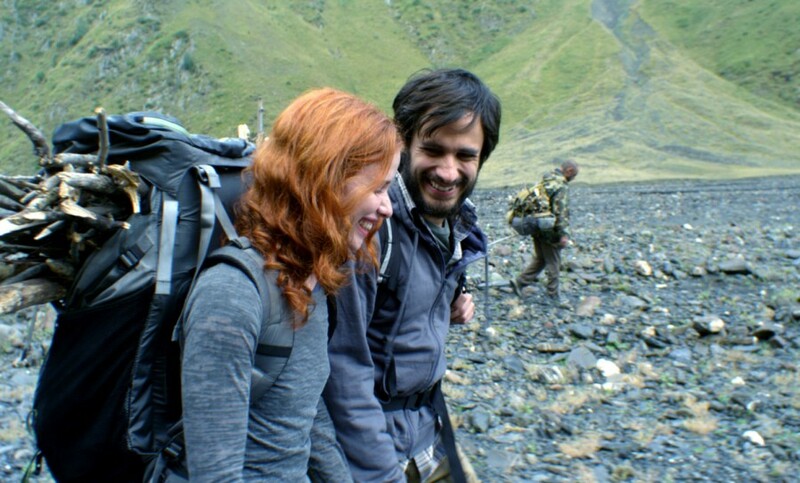 The film follows two young lovers backpacking through Europe. Their trip is of the adventurous and frugal kind, bargaining with locals they can barely understand to travel across the mountains of Eastern Europe. Their relationship is youthfully idyllic, sharing banalities as they smile and get lost in each other’s embrace as if they were meant to be together. Despite the apparent love they feel for each other, their trip quickly goes south and the balance of their relationship is thrown off course. Given the frustratingly slow pace of The Loneliest Planet, I was not expecting the pivotal moment that changes the complexion of the entire film to come and go so quickly. In fact, it was so sudden that I missed it altogether and I was forced to rewind. To add insult to injury, the moment is terribly underwhelming for a film as slow and unmemorable as this one. Instead of spicing things up, it just adds onto the silence. Though confrontation is not always needed for a film to come alive, The Loneliest Planet seems to opt out because it doesn’t know what to say. The procession these characters go through never truly materializes, edging very close to doing so, but never quite crossing the line of restrain. The Loneliest Planet is, at its core, a quiet and interesting exploration of a gorgeous landscape and a young relationship. Sadly, the film succumbs to a total lack of ideas and a complete lack of pace that results in a whole lot of wasted film reel. Great review, Niels. I have had this in my Netflix queue for the longest time but keep glossing over it. Now you’ve got me thinking I should just scrap it altogether. I’m always interested in films about travel, but this one sounds pretty dull. Too bad. Thanks for the kind words Eric. If you were hesitating before, you might as well let this one fall off the queue, it’s a nearly silent bore of a film.